- I think the Tigers got a break on the apparent home run by Alex Gordon. If that ball was hit lower, my guess it would hit the right field foul pole. But give Max Scherzer credit. He doesn't have his best control, he was still in a nasty jam, and he got out of that jam. Excellent way to react in a tough situation. Great pitch to fan Eric Hosmer. 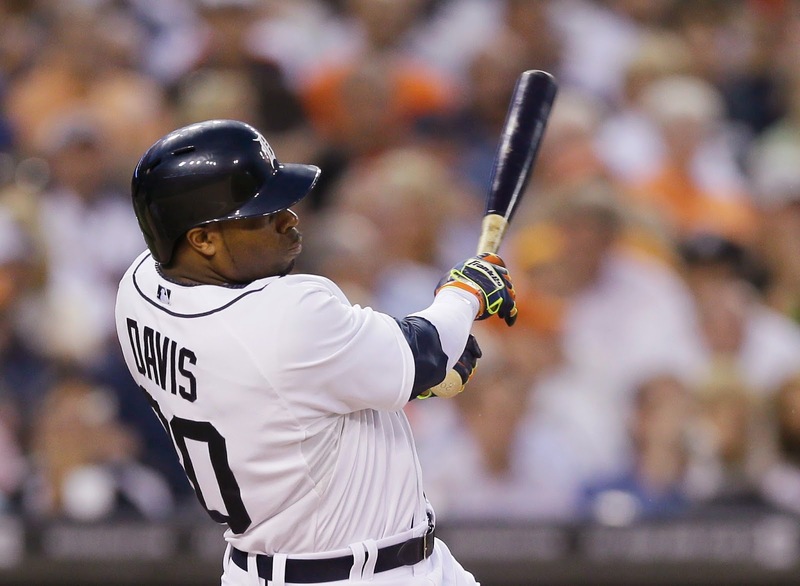 - Rajai Davis can be frustrating at times, but can you imagine where the Tigers would be without him? He doesn't always play effectively, but he grinds it out well. He has a very good season under the circumstances. That was a massively huge home run. - This is not Jason Vargas at his best. The Tigers are taking advantage of it. By the way, can we finally quit holding our breath waiting for J.D. Martinez to slow down. It's unlikely to happen.